30-Day SW Challenge - GIFT A FRIEND! Thank you for gifting the "30-Day SW Challenge" to your friend! Within 24hrs of your purchase, we'll contact your friend to invite them to login and access the 30-Day Challenge member portal, so they can get started! Commit to just 5-10 MINS a day of powerful self-care. Be blown away by the results. Supercharge your Energy, Eradicate your Stress, Feel your Best! Simplify your self-care routine; Tap into the healing power of Breathwork & Qigong-inspired practices. Join Dr. E for carefully curated daily practices that will give you MASSIVE results. Say bye-bye to the rigid and militant "diet & exercise" approach. 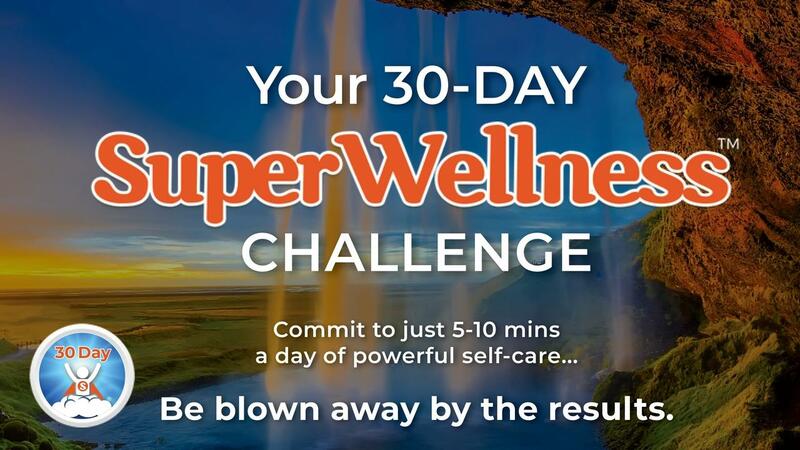 Welcome to your SuperWellness! Short daily emails to keep you inspired, excited, and having FUN on your journey. 24/7 access to your private membership portal with all your video resources, and Dr. E as your guide. LIMITED TIME JAN 2019 Special! Huge Discount for being part of our JANUARY PIONEER GROUP! BONUS: First 30ppl to join by Jan 5, 2019 -- enjoy a LIVE video-call on Sat Jan 26th (yes it'll be recorded), where you can ask Dr. E any questions for FREE! Will you be one of the first 30 friends to sign-up? This educational program introduces students to healthy lifestyle habits, and does NOT diagnose, treat, or cure any medical condition. By law and by ethics, we do not guarantee any specific healing results. 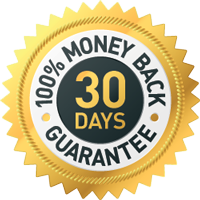 While the wellness tools presented in this program are generally informed by scientific research, this specific 30-day program has not been scientifically evaluated as a therapeutic program. By registering for this course, you take full responsibility for your own actions & personal results. You acknowledge that you are in good mental and physical health to participate in the self-care exercises. You release Dr. Edith Ubuntu Chan / The School of Dan Tian Wellness LLC and any/all of our affiliates from all liability from your personal experience. You understand that this course does not diagnose or treat any medical condition. You agree to use this program for education & entertainment only. Within the context of this program, Dr. Edith Ubuntu Chan is serving as educational speaker - and NOT as your medical provider. Always consult your doctor in a timely manner for any medical concerns. Never change or discontinue any doctor prescribed medical treatment without consulting your doctor first. In this program, any comments made by Dr. Edith Ubuntu Chan or any other participants are NOT to be taken as substitute for individual medical advice. You hereby forever release, waive and discharge any claims against Dr. Edith Ubuntu Chan / The School of DTW & associates. You confirm that you're using this product solely for entertainment and education and take full responsibility for your own action & results. Copyright 2016-2019 - Dr. Edith Ubuntu Chan / Dan Tian Wellness / SuperWellness. All rights reserved. Thank you for taking time to read this disclaimer thoroughly. Welcome to the program. We look forward to sharing this deeply transformative and empowering experience with you!